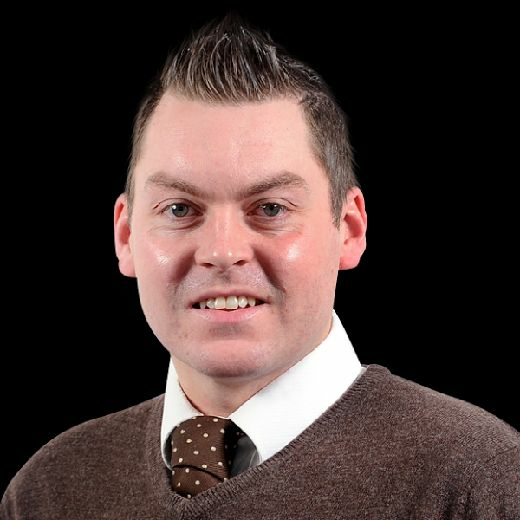 AFTER being dazzled by Leeds United's 3-1 victory against Stoke City, the YEP's Lee Sobot looks at a few key talking points from Sunday's Championship showdown at Elland Road. Can Leeds maintain the same ferocity for 46 games? MENACE: Kemar Roofe, left, gave Stoke City's defence no rest with the lone striker taking Sky's man of the match award as 7m signing Patrick Bamford stayed on the bench. "Our idea is to play in the opponent’s side and that means we will dominate our opponent if we impose this idea..."
Marcelo Bielsa promised to bring an energetic, pressing and attacking game to Leeds with the Argentinian putting United's players through a gruelling pre-season as a result in order for fitness levels to reach their maximum. "I don't think there's going to be many teams that can match us for fitness," said Kalvin Phillips after the club's final pre-season friendly against Las Palmas. Evidence of that was provided in some style on Sunday with every single member of United's team continually pressing, constantly tracking back and generally getting in Stoke's faces throughout. Gary Rowett's favourites to win the Championship title were simply blown away by the Whites and if producing displays such as Sunday's on a regular basis then United are clearly destined to be among the promotion front-runners. The million-dollar question is whether or not Leeds can maintain such a level of intensity over a long and demanding season that takes in 46 league games. To achieve that, fitness will be key, something that Bielsa is evidently well on top of. Conditioning will also play a major part and above all else United will need squad strength in depth and the fact that Pontus Jansson and Patrick Bamford were unused substitutes on Sunday is clearly a promising sign. But the more depth to the squad the better with Bielsa admitting he is looking for two solid options in every area of the pitch. Liam Cooper and Gaetano Berardi were excellent at centre back on Sunday with Jansson not even called for but there remains a strong feeling that United could still do with another option in that department, and in centre midfield given the sale of Ronaldo Vieira and injury to Adam Forshaw. And while Kemar Roofe was also outstanding with Bamford still awaiting his Whites debut, perhaps another back up striker option would also not go amiss. Therein, the remaining four days of the summer transfer window this week remain crucial to United's plans but there is no denying the Whites are off to a flying, exciting and highly promising start. It should be remembered that the loan window is also open until August 31. Say it quietly but United are already now second favourites to win the division with plenty of firms with Stoke narrowly holding on to favouritism with United around the same odds as Middlesbrough. 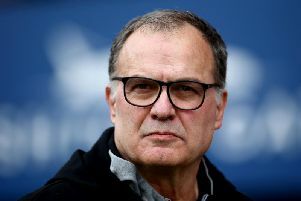 Derby are next in the list ahead of West Brom, Swansea, Nottingham Forest and Aston Villa but even after one game there is a strong feeling that the 2018-19 Championship looks wide open and perhaps the optimum time for Andrea Radrizzani and Bielsa's Leeds to strike. Bielsa kept to his word with Jansson kept to the bench after being back at Thorp Arch for barely a week following his World Cup exploits with fellow new recruits Jack Harrison and even £7m striker signing Patrick Bamford also having to make do with a place among the substitutes along with Chelsea loanees Lewis Baker and Jamal Blackman. But United were so impressive that Jansson and Bamford were not even called for with Harrison and Baker only introduced for Gjanni Alioski and Samuel Saiz respectively in the final few minutes, with Stuart Dallas also on for the excellent Mateusz Klich with 14 minutes to go. Bamford has clearly been purchased to be United's main striker - the club's new no 9 - but Roofe impressed to such a degree with his continued energy and movement that the 25-year-old walked off with the Sky man of the match award. Consequently, Bielsa must surely be tempted to again keep Roofe in the lone striker role for Saturday evening's clash at Derby County. Likewise, Alioski and Pablo Hernandez were both excellent on the wings and with Saiz excelling at no 10 it is difficult to envisage Harrison or Baker starting at Pride Park. Given Jansson's stature, if there is a change then it may arrive at centre-back for Gaetano Berardi but Berardi also put in a stellar shift against the Potters playing out of position at full back meaning it is no given that Jansson will come straight back in and start. Bailey Peacock-Farrell also had another strong game in goal and with Klich and Kalvin Phillips excelling in midfield along with Luke Ayling and Barry Douglas at full backs, it is easy to imagine Bielsa going to Derby with an unchanged side. It was difficult to take your eyes off United such was the nature of their display but equally the occasional glance to the enigmatic Bielsa sat on his upside down blue bucket was a must. Quite why the 63-year-old opts to sit outside the dug out with his own seating arrangement is anyone's guess but equally there is something rather unique and endearing about it all. And it's now a surefire thing that 'Bielsa's bucket' will be all the rage. Expect them to be popping up in store's very soon with Bielsa's own bucket no doubt likely to attract some sort of sponsorship bids in the coming weeks.